Last week was the first week of school for my boys. It was a little hectic for us all to adjust to the new schedule and give up our lazy summer days. By Friday I was ready for happy hour in a big way. 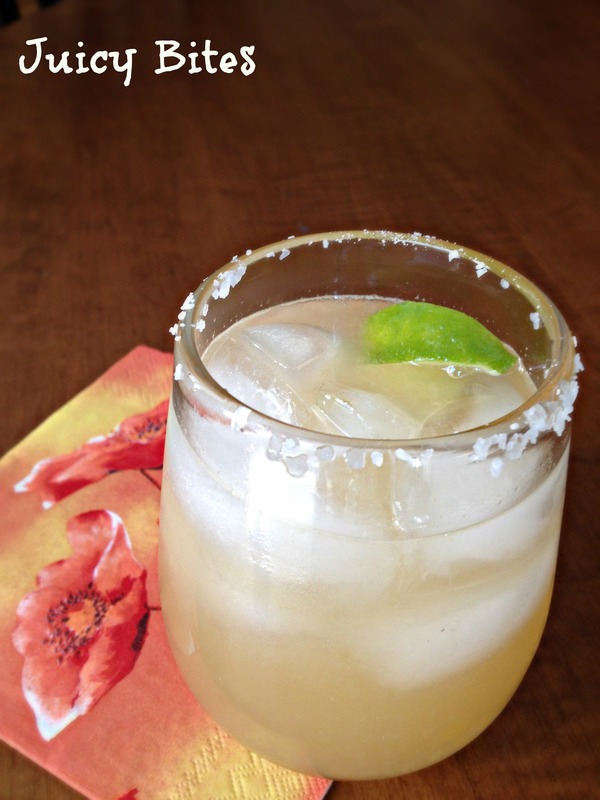 I have made some fun and fruity cocktails over the summer like my Mango Margatini, but I always like to go back to my favorite classic margarita. A good margarita is as simple as can be. 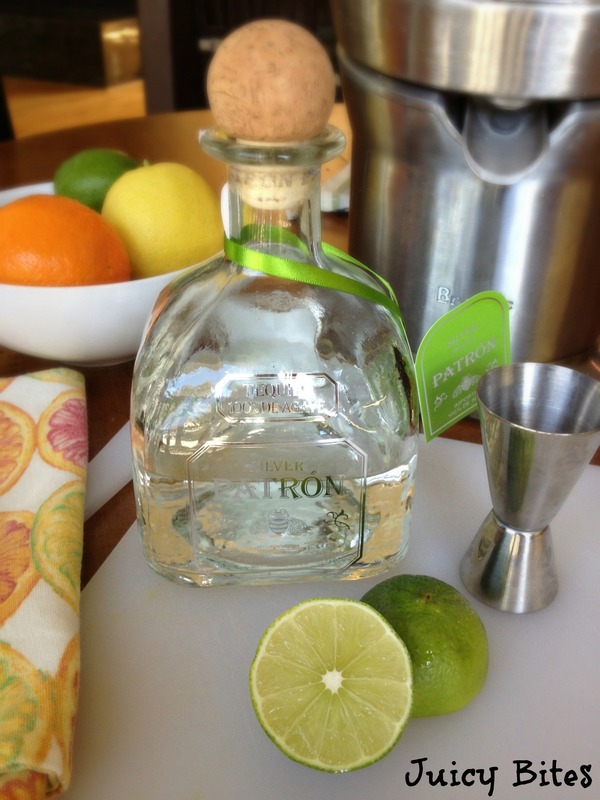 You need fresh citrus juice and good tequila. 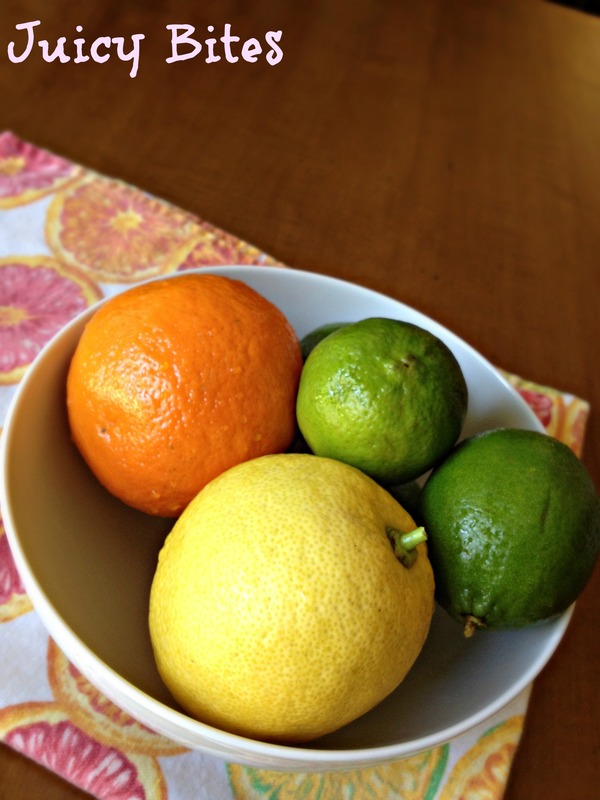 I like to make my margarita mix with a combo of limes, lemon, and orange or tangerine. 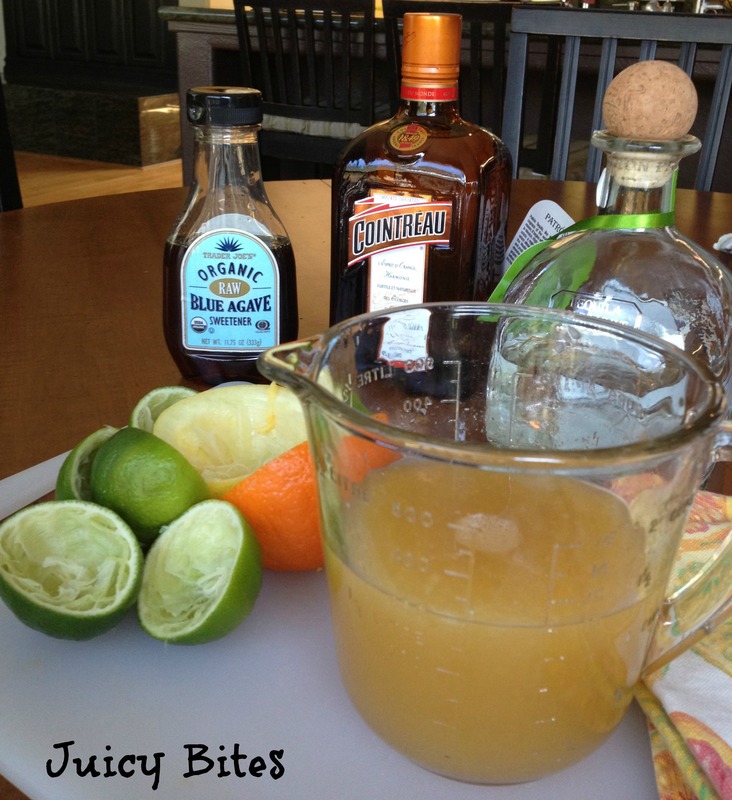 Most of the mix is lime, but I like to add some lemon and a orange for some sweetness. I also add a little agave syrup to mellow out the tartness. As for tequila, I love Patron Silver. I think a silver tequila works best in a margarita and there are lots of good ones out there…just make sure it is 100% agave tequila. 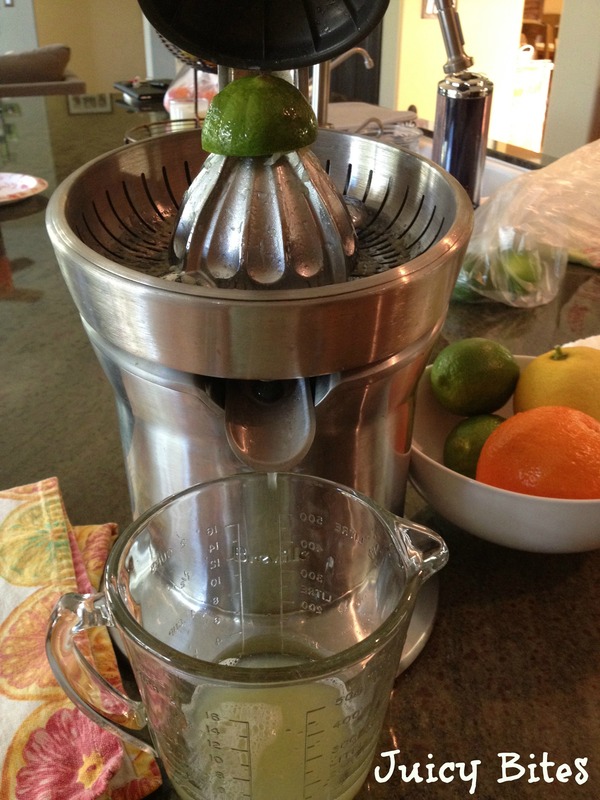 I bought this juicer a while back when I got tired of hand squeezing citrus for margaritas. Sadly, I don’t think I have ever made anything other than margarita mix with it. It has definitely been put to good use though! It’s a Breville brand juicer and I have been very happy with it. There is just no comparison between a margarita made with a sugary, artificially flavored mix and one made with fresh citrus. Ever had a killer margarita hang over? It was probably from drinking Cuervo Gold with a bad sugary mix! This makes enough for about 4 margaritas, depending on how much mix you use. Depending on the size of your fruit, you end up with about a cup of mix. juice of one small lemon (the ones from my backyard tree are humongus, so I use 1/2 of a lemon. Mix all of the ingredients together and refrigerate until ready to use. This keeps for 2-3 days, but is best used the same day. Measurement Note: I use a stainless steel bar jigger that is 1 1/2 ounce on one side and 1 ounce on the other and I am using the larger side for my measurements. A shot glass is more like 2 ounces, so don’t use 3 “shots” of tequila or your drink will be too strong. In a cocktail shaker filled half way with ice, add Patron, Cointreau, and margarita mix. Shake well and pour over ice in a salted glass. Garnish with a lime wedge. Enjoy! !